It’s coming up on the Tuesday, March 12 at the Minnesota Music Café! The first set, as always, is at 7pm. We had to cancel last month’s performance because of the non-cooperative, snowy, icy, weather, but this month we’ll play come snow or flood induced by melting snow! See everyone there! Nova’s first performance of the New Year is coming right up on January 8 — see everyone at the Minnesota Music Café this Tuesday! The music will commence at 7pm! Nova’s Christmas Concert is Just a Week Away! What: The Nova Contemporary Jazz Orchestra Christmas Concert! 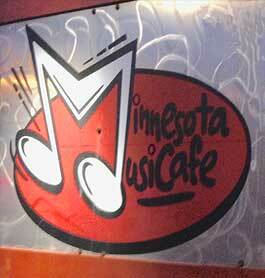 Nova’s at the Minnesota Music Café Tomorrow night! Nova Contemporary Jazz Orchestra’s performance at the Minnesota Music Café is tomorrow night, November 13! All-original big band music by the Nova Contemporary Jazz Orchestra starts at 7pm. We’ll play two sets! Come on out, and stick around for JB and the Routine! Hey everybody! Nova Contemporary Jazz Orchestra’s September 11 performance at the Minnesota Music Café is coming up soon! All-original big band music by the Nova Contemporary Jazz Orchestra starts at 7pm, and we’ll play two sets. 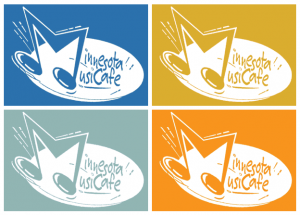 Come out for the music, food, and great vibe of the Minnesota Music Café, and stay for the magic grooves of JB and the Routine!